Graeber is Reader in social anthroplogoy at Goldsmiths College, Univeristy of London, a frequent contributor to The Baffler and the author of a well-regarded book on the history of debt. In his new book, The Democracy Project: A History, a Crisis, a Movement, Graeber traces the fraught history of the concept of "democracy" and argues the way toward a truly democratic society rests in the anarchist process of consensus, which Occupy used to rally hundreds of thousands during its peak. 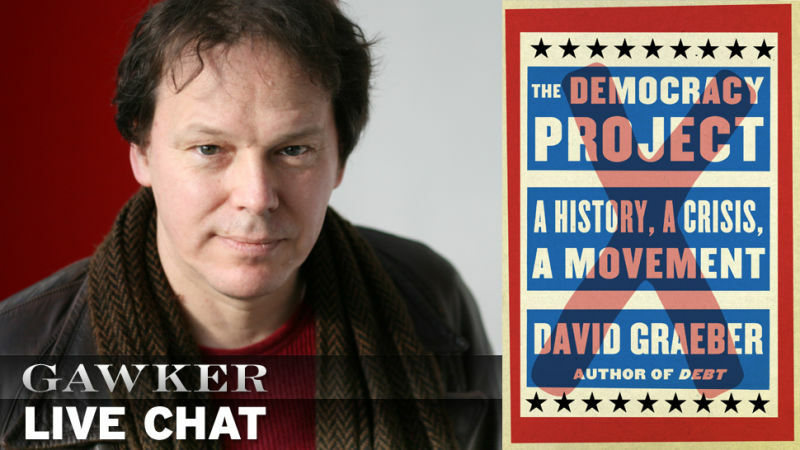 David Graeber will be joining us at 2pm today to answer reader questions. Please ask them below. Update: The discussion is now over. Thanks for participating! You were there from the beginning of the occupation of Zuccotti Park in September, 2011. The occupation is long gone but you speak of Occupy in present tense throughout your book in the present tense. Make your case: Why isn't Occupy dead? DG: Well it's not dead because people are still there. They're still doing stuff. There is a core group in every city in America of people who are constantly planning and engaged and forms of direct action and civil disobedience. There is a whole infrastructure that has been created, it's just the nobody talks about it. We had Occupy Sandy. It's telling that we actually were the first people on the streets doing relief when a disaster struck. We had 40,000 people booked doing relief stuff immediately. What happened was there seems to have been a decision made on a fairly high level of government that they were going to do this systematic repression of the camps. And interestingly enough, just at the moment that happened, the media just suddenly went dead air on us, to the effect that all the interviews that I already had booked just all canceled immediately. You'd think it'd be more of a story if there were battles in the streets and police evicting people and being people beaten up. But instead they decided, 'Nope, no. No move on, nothing to see here.' And it's been like that ever since. One of the major themes of your book is that the current political structure is not at all democratic. I think among the people who would read your book, that's kind of a given. But you go further in pointing out the anti-democratic nature of the Founding Fathers. DG: Most people think these guys had something to do with democracy, but nobody ever reads what they actually said. What they said is very explicit: They would say things like 'We need to do something about all this democracy." So as an alternative, you promote the model of consensus that Occupy used to organize, through its General Assembly. DG: Yeah. What we wanted to do was A) change the discourse and then B) create a culture of democracy in America, which really hasn't had one. I mean direct democracy, hands on, let's figure out how you make this system together. It's ironic because f you go to someplace like Madagascar, everybody knows how to do that. They sit in a circle and they do a consensus process. 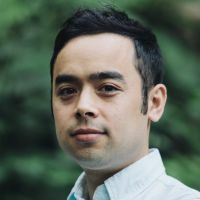 There is a way that you can do these things, that millions and millions of people over human history have developed and it comes out pretty much the same wherever they are because there are certain logical constraints and people being what they are. Consensus isn't just about agreement. It's about changing things around: You get a proposal, you work something out, people foresee problems, you do creative synthesis. At the end of it you come up with with something that everyone thinks is okay. Most people like it, and nobody hates it. This is pretty much the opposite of what goes on in mainstream politics. How did your views on Occupy and what happened in 2011 and 2012 change while you were writing the book? DG: One thing that really shocked me is the complete stupidity of something called the liberal classes in America. It's bizarre that they don't seem to have any political common sense, because the right wing has political common sense. Republicans understand you can sell out your radicals on all the policy but not on the existential issues. They're not going to really ban abortion or appeal Roe v. Wade, they want to keep people mobilized. On the other hand, they might think militia guys are insane, but if anyone suggests touching the second amendment they go crazy. The Democratic left does not behave that way. If the Democratic left got as excited about the First Amendment as the Republicans get about the Second, you know, they'd be in much better shape because they would actually have a radical movement to their left which would make them seem reasonable and they could push their policy agenda. But instead they just completely screw us and get rid of us. And then they can't understand why suddenly the biggest issue of the day has gone back to cutting social security. Despite all the challenges, do you see any opportunity for the kind of popular uprising that took place in 2011 again? DG: Of course it will happen again, things aren't getting better. Repression is difficult and it's probably going to take a more militant form next time, because it's probably going to have to. I'm not happy about that. The interesting thing about Occupy, is, if you think about it in retrospect, it may well be the most nonviolent movement in American history, even though that's not how it was represented. The Civil Rights Movement was very nonviolent, but it's not like nobody ever damaged a window.